Khan was under the poll panel's lens for making derogatory remarks against BJP candidate from Rampur, Jaya Prada, while Gandhi told Muslims to vote for her if they wanted her to get their work done. NEW DELHI: Hours after the Supreme Court came down on the Election Commission of India like a ton of bricks for dithering in its crackdown on communal speeches, the poll panel cracked the whip on UP Chief Minister Yogi Adityanath and BSP supremo Mayawati, barring them from campaigning or making public speeches for 72 hours and 48 hours, respectively. 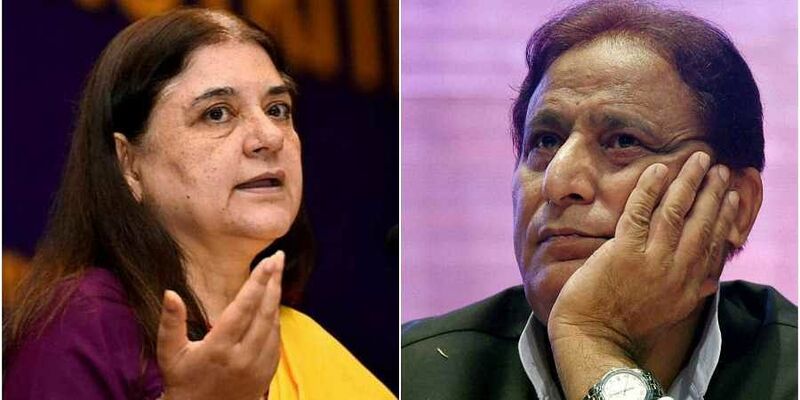 Later, the EC reiterated the fact it had grown a new spine by stopping SP leader Azam Khan from campaigning for 72 hours for his ‘underwear’ jibe against his BJP opponent Jaya Prada and barring BJP MP Maneka Gandhi from doing so for 48 hours after her remarks asking Muslims in UP’s Sultanpur to vote for her if they wanted her to get their work done after she wins from the constituency. “So what about Mayawati. She was supposed to reply to you (EC) by April 12. She has not replied till today. What does the law permit you to do. Answer us,” the bench said. The EC then cited Article 324 of the Constitution and took action against the leaders. It said Yogi, as CM, had added responsibility and added Mayawati, a senior leader, should not make statements that can polarise the electorate. During the 2014 LS polls, the EC had imposed state-specific bans on BJP leader Amit Shah and Azam Khan. The ban on Shah was lifted in a few days after he assured the poll body that he would not disturb public tranquillity. The apex court, irked over not getting specific answers from the EC on its powers to deal with communal speeches, called the poll panel ‘toothless’ and threatened to ensure the presence of the Chief Election Commissioner before it within 30 minutes.